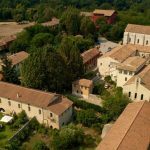 It is located in the municipality of Priverno , 30 km from the Park Hotel. 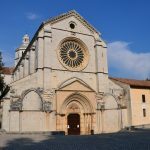 Declared a “national monument” in 1874, the church is a spectacular and has a severe grandeur, the Fossanova Abbey is the oldest example of Cistercian Gothic art in Italy and, together with the Abbey of Casamari, one of his most highest expressions. The settlement around the site has the appearance of Vicus and takes its name from a sewer in the early days of the small village was called Fossa Nova. ‘The Abbey, subsidiary from Altacomba abbey whose construction lasted from 1163 to 1208, is a perfect example of early Gothic style Italian, even more precisely the form of a visible transition from Romanticism to Gothic; the facade that previously housed a porch is simple but majestic, above the richly decorated portal, the facade is adorned with a large rose window that sees the bottom a cosmatesco mosaic that is an inscription dedicated to Federico Barbarossa. 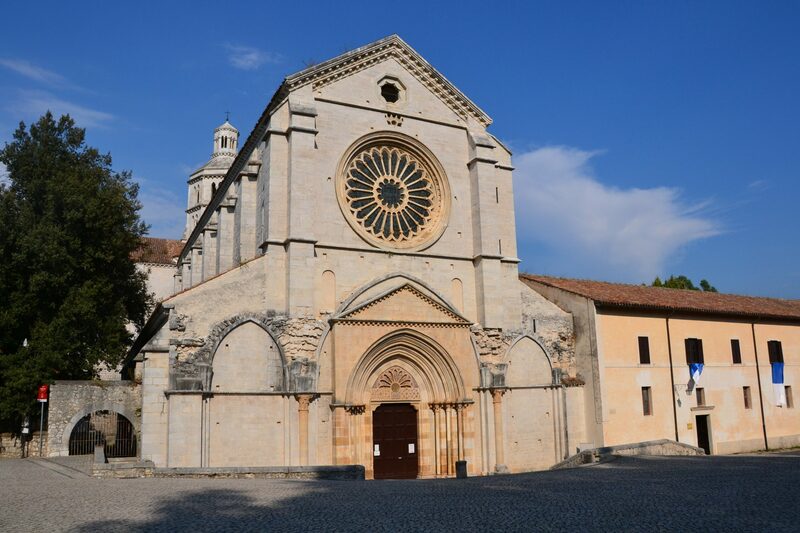 The structure of the church, built entirely of travertine, is a basilica. It has got a cruciform plan; the longitudinal arm, which develops according to a median axis and is divided into three naves, is crossed perpendicularly by a transept. 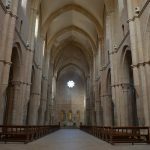 The length of the nave is marked in the first part of seven rectangular bays, ending in the chancel and apse which form a single rectangular body. The system of the supports is formed by massive rectangular pillars. 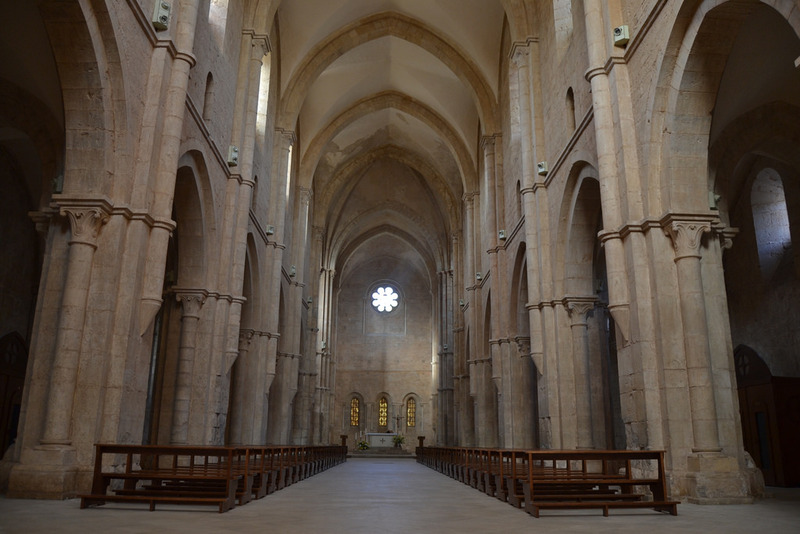 The arches leading from the median nave to the lateral governed by semi-colums. Other semi-colums pensile (that is placed on a shelf at a distance from the ground) rises to bring the transverse arches of the central nave. The interior of the building is almost bare of frescoes there remain only a few shreds on some walls. 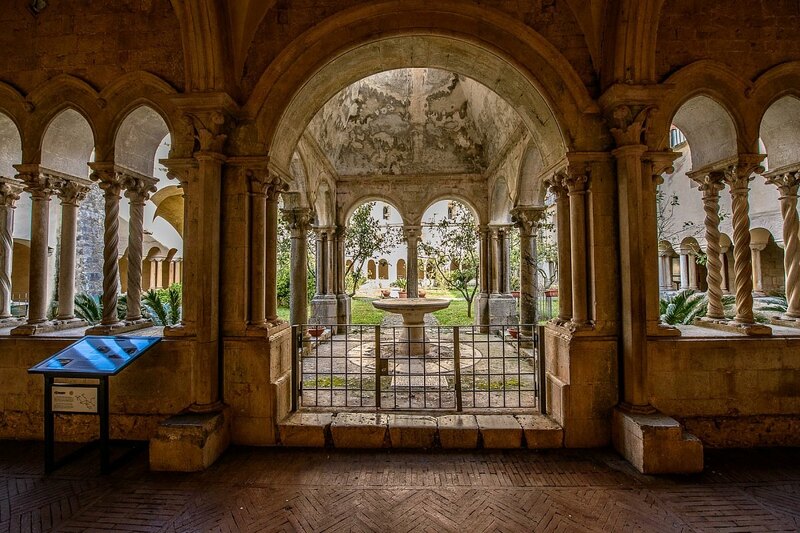 The abbey complex known as renovation of the Benedictine is build from the cloister, the fulcrum of the domestic organism, the church of Santa Maria and the Chapter room supported by two pillars called fascicular because formed by a bundle of columns dating back to the thirteenth century, it is obviously in clear Gothic style. 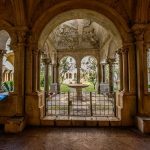 All the decorative details are of great elegance of forms, ranging from dormitories of the monks, the refectory, the kitchen and the dormitories of the lay brothers.Complete also the house for pilgrims, the cemetery and the infirmary. In the infirmary there is the room where lived St. Tommaso d’Aquino in the last days of his life and where he died in 1274; even today in the church has been preserved simply empty tomb (which body was transferred by the Dominicans in Toulouse at the end of the fourteenth century) compost of a marble slab or rectangular travertine. Consecrated in 1208, the abbey retains the bare architecture, the magnificent rose window and lantern, and the finely sculpted, reflecting the pre-eminent role played in the area. The buildings of the complex are fenced so as to appear as a village, moreover enriched by the remains of a Roman villa of the first century BC, visible just in front of the church. In one of the abbey’s local are sold the products of the monks, from food to wines and spirits. Actualy in the abbey, since 1935, lives a community of Friars Minor Conventual (Franciscans).